The manufacturer of durable, reliable Panasonic Toughbook line of notebook computers, Panasonic Computer Solutions Company has upgraded its semi-rugged desktop replacement (15.4-inch) Toughbook CF-52 and mobile workhorse (13.3-inch) Toughbook CF-74 with the new Intel Centrino 2 processor technology. 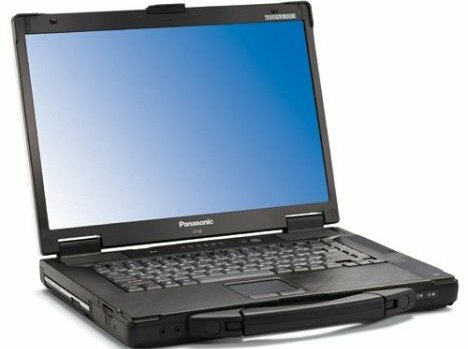 The upgraded Panasonic Toughbook machines will include 1,066Mhz bus speeds, enhanced video and graphics capabilities, 160GB hard drive and 802.11n Wi-Fi. The new Panasonic Toughbook CF-52 and Toughbook CF-74 notebooks are expected to be available in coming August starting $1,949 and $3,199, respectively.